I am now a follower of blog lovin’. Very funny stuff, and I will check out the book as well because I am always in the market for a good book, and loved Bridget Jones. Sorry for the loss of electricity. Could be worse. You could have been run over by your own van as I was, although in that instance, I think snow was actually my friend. Ah, yes. Everyone seems to love this book. I will certainly check out the blog posts. Snow isn’t too bad here, and the power’s on — and thank tacos for that, because it’s -3 out there and blowin a gale! (feels like -24!) Brrr! Joey, I was surprised at how discombobulated I got when unexpectedly dark in the basement. We’re so lucky because our 2-day light snows are followed by 4 60-degree sunshine days. Those winters when I lived in Michigan put me in a very unhealthy funk. I sure hope you have ways to cope! Thanks for the recommendation, sounds great. I am reading The Women of Los Alamos, also great! Thanks, Jane. I will check that one out. I enjoy almost all books set in the high plains and southwest. And I’ve found your previous recommendations spot on! I obtained the book via Kindle Unlimited! Thanks, Jane – I haven’t acquired a Kindle yet and can’t think of a good reason not to, so it’s on the radar! Thanks, Jude, our outage was short-lived and snow not deep enough to leap into from 2nd story window as we’ve seen on news in Boston! You’re the second person who said she’s heard others speak favorably of the book!! I enjoy Ellen’s saucy writing style, and the book is definitely tongue-in-cheek. Her ‘exercise’ is hilarious. As in: Exercise: Typing this response. Or Exercise … Eating baby’s leftiver scoops of mashed potatoes. Sounds like a fun read. Thanks for the heads-up! Thanks for the book and blog recommendation… both look great! I hope the lights are now on and you are staying warm! Yes, our bout was short-lived, thank goodness! I think I’ve heard mention of this book before. Sounds like something I would enjoy, thank you. Sorry about your power-outage problem, thank God for books, right? Enjoy. Hi Sammy — enjoyed her link and am following her. Love this post! I grew up in a family of thirteen where everyone learned to cook. clean and change diapers but once I was married, my ex kicked me out of the kitchen. Soon after she descended into bi-polar hell and we were divorced, I ventured back into the kitchen. On the first day, I announced to my kids that we would be enjoying stir-fry for supper. I burned it. We ordered pizza. 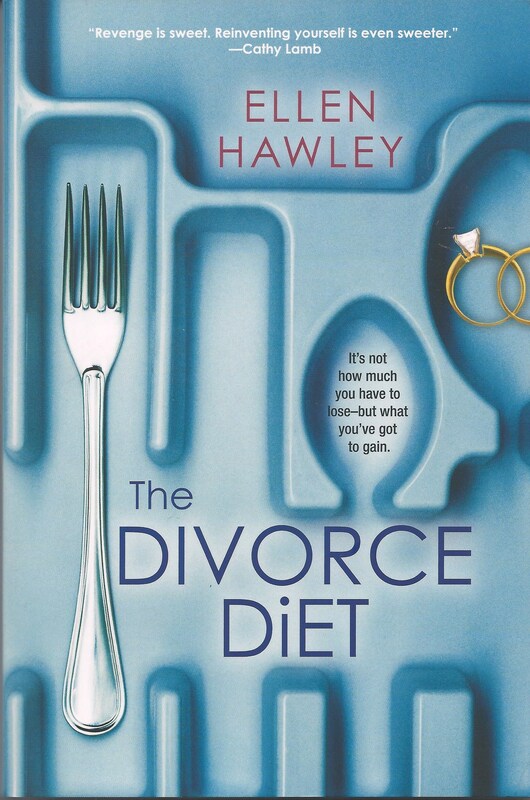 I know all about divorce dieting. Sounds like you’ve been through a few of life’s nightmares. We don’t shake those hauntings easily. Speaking of pizza, last Sunday we carried 3 pizzas from our favorite Italian restaurant to our friends’ house. Laura shoved the boxes in the oven and turned the dial. We got to yakking; all of a sudden smoke poured out of the oven. When we opened the door, a corner of one of the pizza boxes was in flames. Joe grabbed it and tossed it outside in the snow. Fortunately only the box burned; not the pizza! We were able to stick to our diet. The book sounds hilarious. But I am worrying about you and your weather and your power. Was it out long? Will the weather be good this weekend? I heard that Michigan was around zero this morning. My dad got moved to a short term care place from the hospital, and people were warning my mom not to drive there b/c of the weather! I hope your weather is better than Michigan weather! Luanne – your Mom must be quite stressed worrying about both your Dad and the weather. I talked to Mom & Dad today – they said Kazoo west to the lake has been getting horrible weather but where they are (30 miles east) the ‘lake effect’ is much diminished so it’s been cold but not the worst of the blizzards. Sis in Grand Rapids is snowed in forever!! We’re nowhere near as bad here in Colorado. Most of the snow is in the mtns, and we get small amounts here in Denver. And it’s NEVER the biting cold of Michigan, partly because our temps are higher, but mostly because of the lack of humidity. Hub is playing golf today!! Power outage was shortlived. Thanks for your concern. Keep us posted on your blog about Dad’s progress. I’ve had plenty of snow, but no power outages yet. (Knock on wood!) I’ll have to check out the book. The iPad post was hilarious. Just popped over. Thanks for the recommendation. Isn’t it nice that we can have global blog buddies. Absolutely 😋 i wish I knew enough Spanish to write to you in la lingua Espanol, pero every time I try to access that long ago brain file, all that comes forward is French. Merde!! I just love fast and fun reads, Sammy. Thank you for the recommendation. Once things slow down a bit here, I’ll be sure to check it out. Every once in awhile, I love a well-written chick lit. It’s like watching a romantic comedy at the movies.